The American Society of Cinematographers was founded in Hollywood in 1919 with the purpose of advancing the art and science of cinematography and bringing cinematographers together to exchange ideas, discuss techniques and promote the motion picture as an art form — a mission that continues today. Arthur C. Miller, ASC is at the hand-cranked Bell & Howell 2709 camera, lining up on actor Richard Barthelmess while shooting the silent picture Experience (1921) for director George Fitzmaurice (seated). In the early days of cinema, many directors of photography across the United States were faced with the same problem: big, ugly white streaks in their footage created by static electricity discharge created by their hand-cranked cameras. Instead working on their solutions in isolation, a two small groups of idealists, one located on each coast, came together to solve this and many other technical problems of the day. 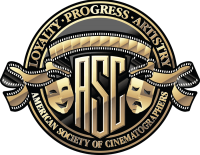 To view the ASC's current membership roster click here. For a complete list of all ASC active members — since 1919 — click here. They were the Cinema Camera Club, started by Edison cameramen Philip E. Rosen, Frank Kugler and Lewis W. Physioc in New York in 1913; and the Static Club of America, a Los Angeles-based society first headed by Universal cameraman Harry H. Harris. From the beginning, the two clubs had a loose affiliation, and eventually the West Coast organization changed its name to the Cinema Camera Club of California. But even as the center of film production shifted from New York to Los Angeles, the western organization was struggling to stay afloat. Phil Rosen came to Los Angeles in 1918. When he sought affiliation with the Cinema Camera Club of California, president Charles Rosher asked if he would help reorganize the association. Rosen sought to create a national organization, with membership by invitation and a strong educational component. The reorganization committee met in the home of William C. Foster on Saturday, December 21, 1918, and drew up a new set of bylaws. The 10-member committee and five visitors were designated as the board of governors for the new organization. The next evening, in the home of Fred LeRoy Granville, the first officers for the American Society of Cinematographers were elected: Philip E. Rosen, president; Charles Rosher, vice-president; Homer A. Scott, second vice-president; William C. Foster, treasurer; and Victor Milner, secretary. 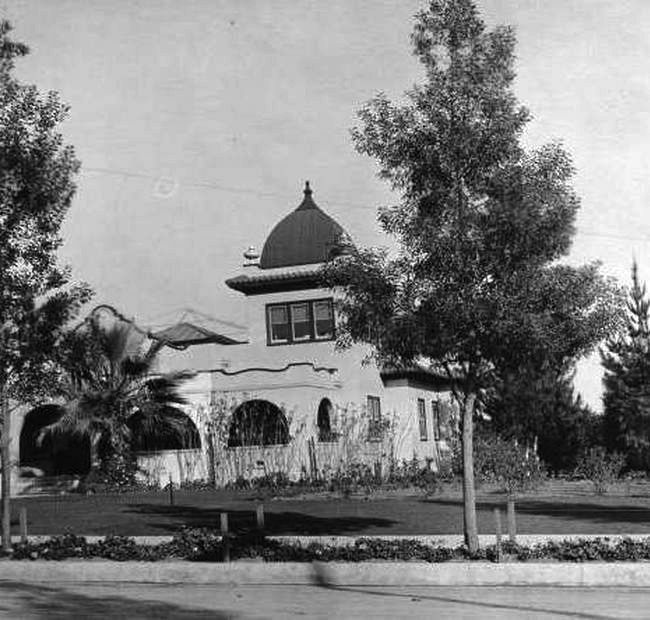 The Society was chartered by the State of California on January 8, 1919. The ASC’s declared purpose: to advance the art of cinematography through artistry and technological progress, and to cement a closer relationship among cinematographers to exchange ideas, discuss techniques and promote cinema as an art form. The first documented appearance of the ASC credential in a film’s titles was Sand (1920), produced by and starring William S. Hart and shot by Joe August, ASC. Neither a labor union nor a guild, the ASC is an education, cultural, and professional organization. Membership is by invitation only, extended to directors of photography who have demonstrated outstanding ability with distinguished credits in the industry and good personal character. From left, actors Wallace Beery and Robert Florey, ASC founding member Arthur Edeson, star Douglas Fairbanks and director Allan Dwan during the production of Robin Hood (1922). The ASC began publishing a four-page newsletter called The American Cinematographer in 1920. It was published twice monthly until March 1922, when it became a monthly, and American Cinematographer magazine has been published every month since then. AC is today an award-winning international publication covering the technology and artistry of visual storytelling, offering print and digital editions. The October of 1921 issue of AC was the first to have a magazine format, rather than a newsletter design. Issues of AC from 1929, 1933, 1969, 1982 and 2017. In 2017, the ASC began publishing a digital Chinese language edition of the magazine (sample issue here), and has plans to launch a Spanish edition. After publishing The American Cinematographer Hand Book and Reference Guide from 1935-’56, the ASC began the American Cinematographer Manual, a vital technical resource that is commonly known as “the filmmaker’s bible.” First printed in 1960, the book is currently in its 10th edition, published in 2016. The next edition is scheduled to be published in late 2019. 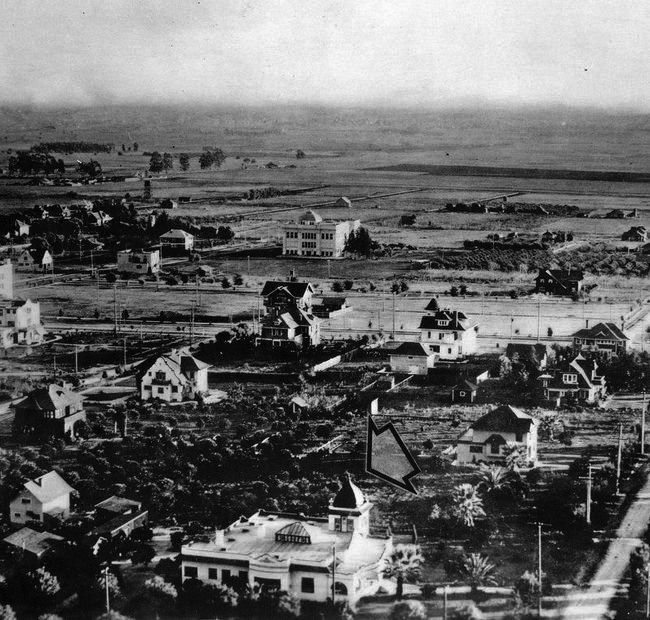 Hollywood in 1905 — note the arrow pointing at the residence that would later become the ASC Clubhouse in 1936 and remains the home of the Society to this day. The street view from N. Orange Dr., the camera facing due East. For 99 years, the ASC has remained true to its ideals: Loyalty, Progress and Artistry. The ASC was the first organization in the film industry to be devoted exclusively to furthering and honoring professional achievement. In this pursuit, the society has served as the example for numerous motion picture production guilds and organizations formed since, and continues to represent the highest ideals for the art of cinematography. Held at the ASC Clubhouse and hosted by Gregory Peck, the first ASC Awards, in 1987, honored the work of Jordan Cronenweth, ASC in Peggy Sue Got Married. His prize was accepted by his wife, Shane. To help in this effort, the Society founded the ASC Awards for Outstanding Achievement in Cinematography in 1986 to recognize exceptional work in feature films and television, as well as acknowledge cinematographers and other filmmakers — including directors, producers and actors — for their exemplary careers or contributions to the art and craft of filmmaking. A view from the back of the room at the 2017 ASC Awards. The event now regularly hosts 1,600 attendees. The AC web site was launched in 1997 to digitally deliver a wide variety of educational content, including instructional and informative videos featuring ASC members and historical stories from the vast American Cinematographer archive. The ASC is currently creating an online index database for all 1,200 issues of the magazine, which will allow cinematographers, students and researchers to easily find and access all 100 years of published AC content. In 2002, Society members focused on the rapidly evolving filmmaking technology founded the ASC Motion Imaging Technology Council (or MITC — pronounced "My Tech") which includes committees that study and report on developments in such areas as digital motion picture cameras, look management, virtual production techniques, lens developments, motion imaging workflows, projection and display technologies, archiving, advanced imaging and virtual reality. Dean Cundey, ASC teaching in an ASC Master Class session. The Society began the ASC Master Class education program in 2014. Here, ASC members and other professionals teach students from around the world on subjects including lighting, composition, angles, creating mood, postproduction techniques and many other aspects of visual storytelling. 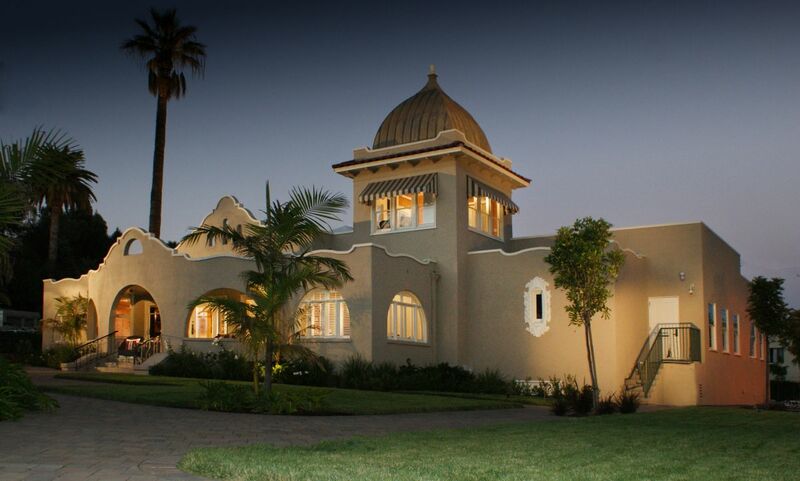 Each session begins at the ASC Clubhouse in Hollywood, with portions taught on local stages and other facilities. The faculty of ASC members includes John Bailey, Bill Bennett, Paul Cameron, Russell Carpenter, Dean Cundey, Caleb Deschanel, Larry Fong, Darius Khondji, Karl-Walter Lindenlaub, Emmanuel Lubezki, Guillermo Navarro, Rodrigo Prieto, Cynthia Pusheck, Nancy Schreiber, John Toll, Kees Van Oostrum and many more. Karl-Walter Lindenlaub, ASC, BVK instructs Master Class students in Beijing, China. This program expanded in 2016 to include the ASC International Master Class, which will bring this educational approach to major cities around the world. To date, classes have been held in Toronto, Canada, Beijing, China, and São Paulo, Brazil, among other cities. The next step in this evolution will be an online version of the Master Class, allowing students everywhere around the world to attend via the Internet. Education and Outreach committee chair George Spiro Dibie, ASC (pointing) and fellow Society members answer questions from college students. At its heart, the ASC has always been about education and sharing information, and to that end, the Society’s Education and Outreach program regularly welcomes groups of college students from around the world to the ASC Clubhouse for in-depth Q&A sessions with leading ASC members, during which they openly discuss all aspects of working as a professional director of photography. All free of charge. Dedicated to promoting and facilitating change, the “vision” of the ASC Vision Committee is to ensure cinematographers and their fellow filmmakers reflect the diverse population of the world at large, irrespective of gender, race, religion, economic status or orientation, as well as encourage advancement for the underrepresented. In 2017, esteemed ASC member John Bailey was elected to be the president of the Academy of Motion Picture Arts and Sciences. He is the first cinematographer to hold that position. In August of 2018, we broke ground for the new ASC ARRI Educational Center, a modern facility designed to help the Society continue its core mission: educating the next generation of filmmakers and elevating the role of the cinematographer. It is scheduled to be open in 2019. From left, ASC President Kees van Oostrum and ARRI Inc. President and CEO Glenn Kennel at the groundbreaking ceremony. Below is a tribute reel that was created to pay homage to the ASC greats who have contributed to a rich legacy of motion pictures (play list here). Additional historical detail by Robert S. Birchard.